Learn more about Automatic Sync Technologies, and hear what our customers have to say about AST and CaptionSync. 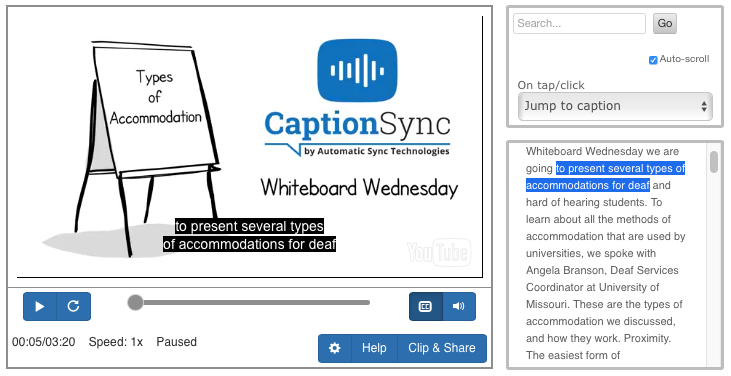 Whiteboard Wednesday is our monthly video series we publish on many topics including CaptionSync features, benefits of closed captioning, and captioning law. Watch our CaptionSync overview video to understand why CaptionSync by AST is the best choice if you produce educational video. Find out why NBC Learn chose CaptionSync by AST as their captioning service. 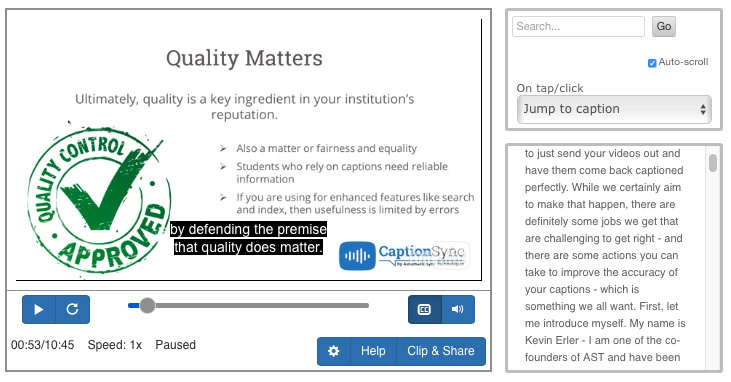 Learn about Purdue University’s experiences using the CaptionSync captioning service. This video provides an overview of Automatic Sync Technologies, our history, and our approach to video accessibility.